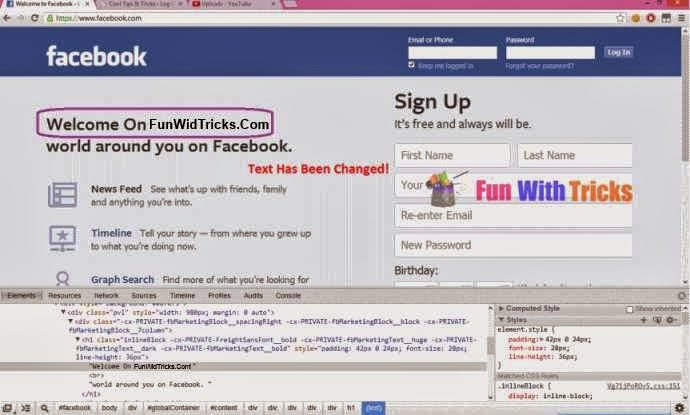 Home » Functional Tutorials » Google Chrome Tricks » Internet Tricks » Edit text on any webpage using Inspect Element! Edit text on any webpage using Inspect Element! Hey friends, Today I am writing this article to aware about the frauds running over the internet. 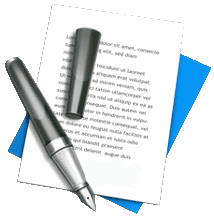 I will show an easy way to edit any webpage without using Photoshop or any other image editing software. You can edit the entire webpage and then save as it is looking exactly as real one. Everything will look original until you click the refresh button. 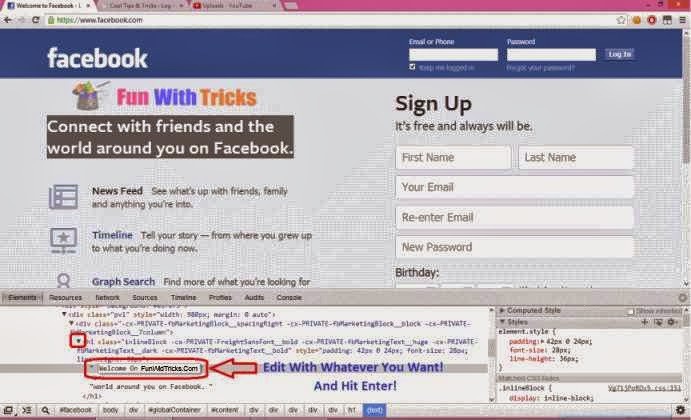 There are many frauds running all over internet using this trick. The trick can be applied to change any of the text messages, images on any website such as bank website, college website, adsense earnings etc. One of the fraud I heard was, asking customers to purchase an eBook about adsense guide which is not going to help you at all, but going to help them to earn fraud money. 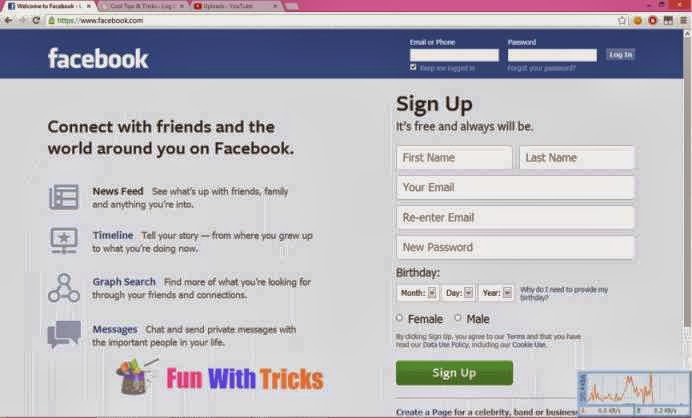 It's not only for showing online income, you can modify anything , for example the status of Facebook, tweet etc. Internet browser: Google Chrome will be the best , Moreover you can also use FireFox but there are some complexities. 1. Download and install Google chrome! 2. Open any webpage where you would like to modify contents. 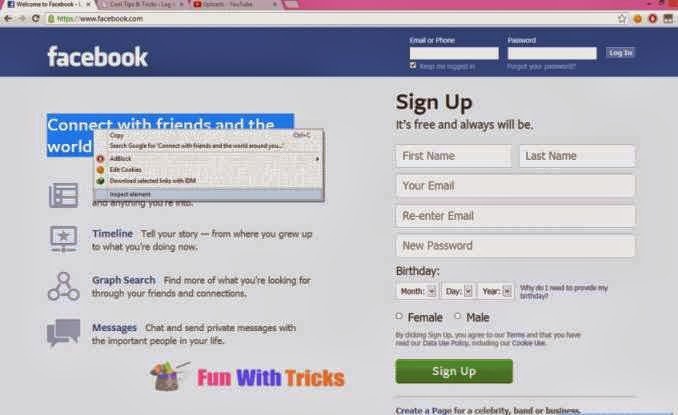 Here I am going to show you on Facebook login page! 3. Select any text on webpage-> Right click on selected text -> Select "Inspect Element"! 4. After clicking Inspect element you will see a box has appeared below your web bar. Now the important thing is to find the sentence code you want to edit.If you are not able to find the text,just click on drop down arrow shown in red rectangle in below image to get detailed coding of the selected component,do the same until you get the text! 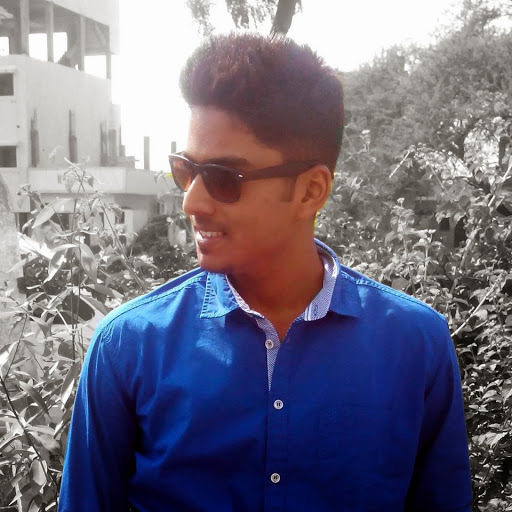 Now you will definitely get your text to modify over there! Just look for it & find it easily,After getting the text double click on it. Edit that text with anything you wish to show and hit Enter! 5.Voila! You will notice that the webpage has been edited. Then click close (cross sign) button to remove the code box. Then everything will look original. Now you can capture a video or take a snapshot to convince people that it is original; but in reality it's fake! So beware about the services which offers you to increase revenue, bank balance by showing fake pics and videos on web pages etc.